Rebecca joined COTI in 2018 as a full time office admin. She has been living in Cincinnati since 2015 and has adopted it as her hometown. She is originally from Salt Lake City, UT where she graduated from Utah College of Massage Therapy with a certificate in Massage Therapy and is a Licensed Massage Therapist. She has experience in office management and administration working in PT, OT, MT and Chiropractic clinics. She enjoys helping families with the admininstrative portion of their visits so they can focus on therapy. Rachel Bonar is a graduate of Cincinnati State Technical and Community College’s Occupational Therapy Assistant Program and also a graduate of Miami University with a bachelor’s degree in Psychology. Rachel has worked with children in a variety of settings and roles. She joined COTI’s staff in 2015 and is working in school-based practice. Kristen is a graduate of the University of Florida, earning her BS in Exercise and Sport Science. She completed her Masters of Occupational Therapy at the University of St. Augustine for Health Sciences and also earned her PhD in Occupational Therapy from Nova South Eastern University. Kristen has concentrated her practice on pediatrics and is certified in Sensory Integration. She joined COTI’s staff in 2018 and is working as a school-based therapist. Tara is a graduate of Xavier University’s OT program earning a BS in OT, has a Masters of Health Sciences from the University of Indianapolis, and is SI certified. She has been working at COTI since 2002. Tara works primarily in our pediatric clinics. She has also been responsible for programming for summer groups at COTI and has worked in the schools as well. Tara is trained in Therapeutic Listening. Kristen is a graduate of The Ohio State University, earning her BS in Psychology and going on to complete her Masters of Occupational Therapy at the University of Indianapolis. She is a big buckeye fan! She joined the team at COTI in 2016 and currently works in the schools, Anderson, and Connections for Life clinic. She had worked as a group leader at Camp OdakOTa-COTI’s camp for children with sensory processing concerns and has been a Moovin’ and Groovin’ summer group leader. Linda received her BS from Augustana College in Illinois and her MS in OT from Washington University in St Louis, MO. She has concentrated her practice on pediatrics and has worked in a variety of settings including school based programs, private clinic and home health. 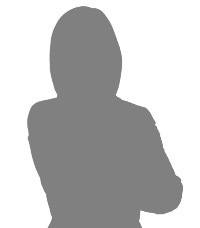 She is certified in Sensory Integration and trained in Therapeutic Listening. She was integral in the development of Camp OdakOTa. Linda joined the staff as a supervisor and a member of the leadership team at COTI in 2008. Carolyn graduated with a BS in Occupational Therapy from Indiana University and has been a member of the staff of COTI since 1988. She has been working with infants and children for over 30 years. Carolyn is certified to administer the SIPT and trained in therapeutic listening. She works in our Blue Ash clinic. Michael is a graduate of Boston University and has been working in healthcare management for over 30 years. He joined the staff at COTI in 2008. Michael serves as Secretary and Treasurer of Cincinnati Occupational Therapy Foundation. He is committed to helping families negotiate the sometimes confusing health insurance issues. Joan received a B.S. in OT from the University of Wisconsin. She has been a practicing OT for 35 years, much of that time focused on clinic and school based pediatric services with a specialization in sensory integration. Joan is a founder and former owner of COTI. In addition to sharing her expertise with COTI staff she lectures extensively on sensory integration and related topics. She is the Vice-President of the Cincinnati Occupational Therapy Foundation. Joan is also a member of the Southwest Ohio Regional Autism Advisory Council. Jen received a BS in OT from Xavier University. Jen has been practicing OT since 1998 with a focus in pediatrics and sensory integration since 2001. After beginning her career as an OT working in settings with adults, Jen switched gears and focused on providing services in school and clinic settings. She is currently working part time in the schools. Jen is certified in Sensory Integration and recently became a Certified Yoga Kids Teacher. Karen received a B.S. in Occupational Therapy from Western Michigan University and continued her studies receiving a M.Ed. in early childhood special education from the University of Texas. She has worked in both school and clinic settings throughout her career. Karen is certified in Sensory Integration. She joined COTI in 2011 and currently is practicing in schools. 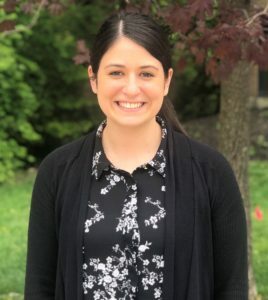 Becca received her Masters of Occupational Therapy degree from Chatham University in Pittsburgh, PA. She also has a Bachelor’s Degree in Health Promotion and Exercise Science from Otterbein College in Columbus, Ohio. She joined COTI in 2015 and works in the Blue Ash clinic and as a school-based therapist. Becca is trained in Therapeutic Listening. Jackie received a BS in OT and a Bachelor of Physical and Health Education at Queen’s University in Canada and is SIPT certified. She has worked with adults and children in a variety of settings throughout her career. Jackie originally worked for COTI in 1997 for several years before moving out of state. She returned to Cincinnati and COTI in 2008 and now works part time in our Blue Ash clinic. Jackie has a 2012 article in OT Practice that addresses how to match sport to the needs of children with sensory processing disorder. Elena graduated from Worcester State College in Massachusetts with a BS in OT. In addition she has a BS in Business Management from Bentley College. Elena has worked in acute care settings with adults and newborns. She has also worked in the school setting. She joined the staff of COTI in 2007 and has been providing OT in school-based settings and as a group leader at Camp OdakOTa. Breanna is a graduate of Xavier University earning her BLA and Masters of Occupational Therapy there. Go Muskies! She moved back to Cincinnati from New York after school and joined the team at COTI in 2016. 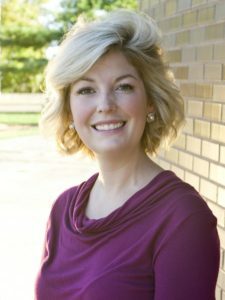 She currently works in the Blue Ash, Anderson, and Connection for Life clinics. Liz received a BS in occupational therapy from Xavier University and has been working with COTI since graduating in 2004. Liz works for COTI in the pediatric clinic in Blue Ash. She has also been the lead therapist in a variety of COTI’s Summer Groups. Liz is trained in Therapeutic Listening and certified in Sensory Integration. Amanda graduated from Xavier University where she earned her Master of Occupational Therapy degree and Bachelor of Liberal Arts degree with a concentration in Human Occupations and a minor in Psychology. She joined COTI in 2018 and is working in the clinic and schools. Julie is married and has three grown children. Julie received her BS in Occupational Therapy from Eastern Kentucky University in 1984. After working full time for five years in the Jefferson County Public Schools she moved to Lexington Kentucky and went into a primarily pediatric based private practice for 25 years. She has recently moved back home to the Cincinnati area where her roots are. Julie completed her Master’s of Psychology in Child and Adolescent Developmental in August 2017. She also teaches occupational therapy assistant classes at Cincinnati State. Sensory modulation disorder and the emotional development of children and their families is her main research and practice focus. 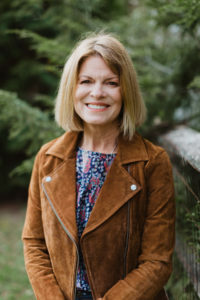 Leigh graduated with a BS and an advanced Master’s degree in Occupational Therapy with a specialization in early intervention from Thomas Jefferson University in Philadelphia, PA in 1987. She has worked in Pennsylvania and Virginia in pediatrics before moving to Ohio. She is married with three grown children. Leigh started working at COTI in 2006, but recently took a16 month sabbatical to spend time with her husband when they became “empty nesters”. Leigh is certified to administer the SIPT and is trained in Therapeutic Listening. Leigh works in our Blue Ash clinic. Jeremy joined the staff of COTI in 2006 after graduating from Wilbur Wright College – City College of Chicago from the Occupational Therapy Assistant Program. Jeremy also has a BFA in Painting. He currently works full time for COTI in school-based practice and in the Blue Ash clinic. He has also helped to lead some of COTI’s summer groups and has worked as a group leader at Camp OdakOTa – COTIs camp for children with sensory processing concerns. Jeremy incorporates his artistic creativity into everything he does. Lisa graduated from Florida International University with a BS in OT. She has been at COTI since 1991 working as a generalist in all areas of OT. She has provided services in schools, homes, adult day centers, group homes, and skilled nursing facilities. Lisa’s special interests are also widely varied; they include traumatic brain injury, developmental disabilities, cognitive deficits and home-based services. Deb has a BS in OT from Quinnipiac University, an advanced MS in OT as well as an MBA from Boston University, and a PhD in OT from Nova Southeastern University. Over the course of her 30 year career she has worked in a wide variety of settings both as a clinician and an administrator. She has been at COTI since moving to Cincinnati in 2001. She serves as the President of Cincinnati Occupational Therapy Foundation, a 501(c)3 non-profit corporation and the Co-Chair of the Cincinnati district of the OOTA. Cathy is a graduate from Xavier University with a BLA and MEd. She has a post-baccalaureate in occupational therapy also from Xavier University. Cathy has been with COTI since 2005 working in pediatrics both in the clinic and schools. She trained in Therapeutic Listening and has studied Myofascial Release.